We’ve been in this business for more than 10 years. 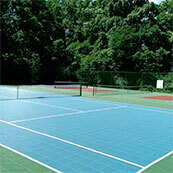 Low costs, easy maintenance and unparalleled safety features are Sport Court St. Louis' specialities. Our quality installations surpass the highest professional expectations. We take care of the details, so you can focus on the game. Our courts are made for more than just a game or two. They're places for the entire community to gather together for years to come. Our gym flooring provides an excellent alternative to traditional wood floors. No need to worry about resurfacing every year, and you’ll still receive all the traction and shock absorption — and even the look — of traditional suspended hardwood floors. We put as much love and care into our courts as you do into your community. 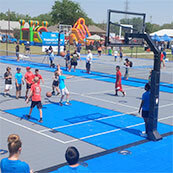 We can help you turn an unused field or existing concrete court into a community centerpiece, a place where people of all ages can safely play and honesty, respect, teamwork, and fun all merge together in sport. We build the Safest Courts In The World™ because our outdoor sports surfaces deliver something an acrylic court simply can’t. Local CourtBuilders™. Our local team lives near you, so you know they will continue to be there whenever you need them for years to come. Safety. Variable shock absorption, low skin abrasion and patented Lateral Forgiveness™ help to reduce courts' joint stress and fatigue. Multi-sport use. 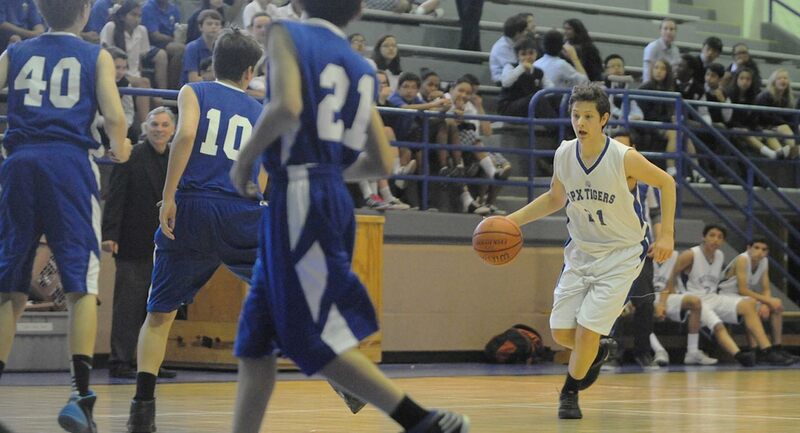 Allows you to play multiple sports on the same court surface. Kids can play safely, players can play longer and professionals can teach longer on Sport Court impact reducing tennis courts. Whether retrofitting or resurfacing an existing court, building a new stand-alone court or converting an used area of your facility in to a profit center, Sport Court St. Louis is dedicated to providing you a long lasting, low-maintenance tennis court. We custom build 36’, 60’ or full-sized 78’ tennis courts where you can enjoy tennis, pickle ball or other racquet sports at your facility. 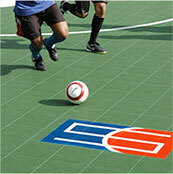 We are ready to customize any court to match your needs. 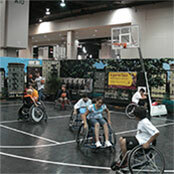 Our customizable, colored gym floor products let you create spaces for play, learn, rest and explore. They are easy to install, clean and maintain, so turning the PE room into a cafeteria is a breeze. And to top it off, our products are designed for the safety of young athletes and for the performance of the world’s elite volleyball, basketball and futsal athletes, so performance will never be an issue. 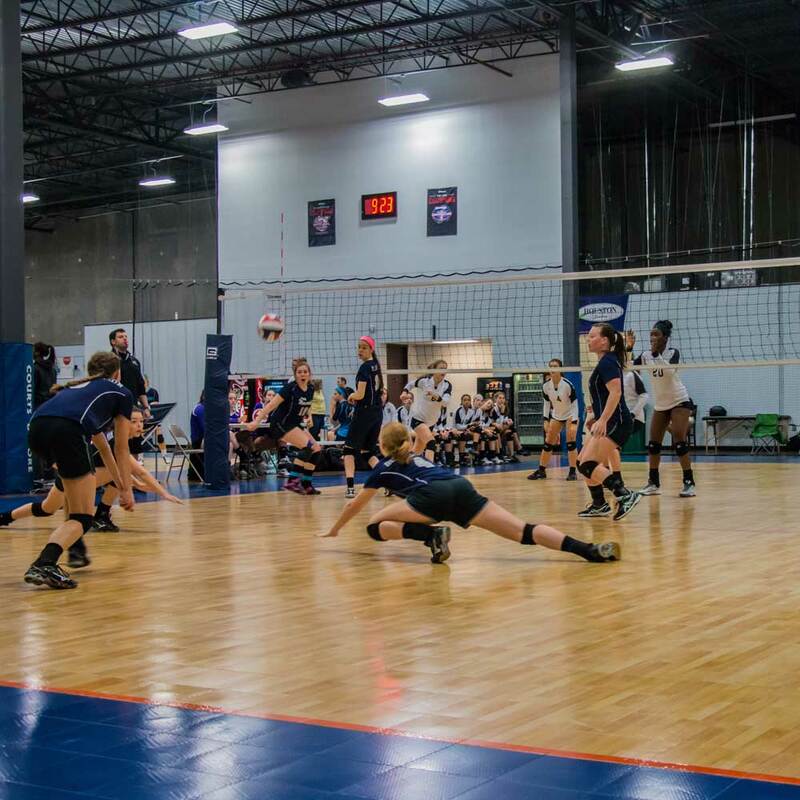 Whether your school needs to retrofit an existing gymnasium, or if you are building a new school, Sport Court St. Louis can help you choose the right flooring solution for your facility. 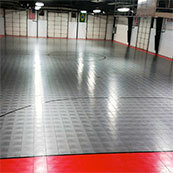 Does Sport Court St. Louis® sports flooring require a climate-controlled building? 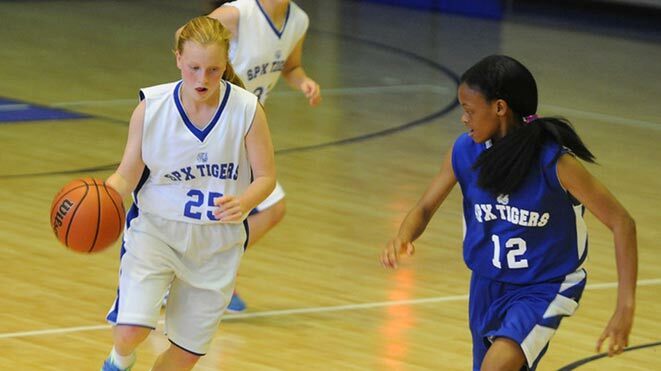 How does the cost of a court from Sport Court St. Louis compare other alternatives options? How does moisture affect Sport Court flooring? 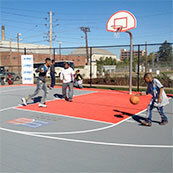 What makes Sport Court St. Louis different from others home basketball court installers? With over 10 years of experience, a 96% satisfaction rating, and 150,000 courts installed worldwide, we can say without reservation that we make the best courts for the best price. We pride ourselves on using only our own certified CourtBuilders (no side jobs) to install and complete your project from start to finish. And with independent safety testing, we know this will be a safe place for your family for years to come. How long does it take to install a court floor? 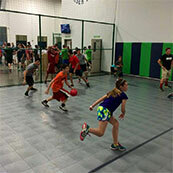 How well does the ball bounce on a Sport Court game court compared to other basketball floors? 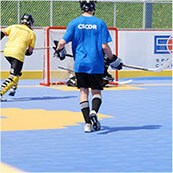 Why do you call Sport Court floors “multi-purpose” sport surfaces?